Darkest Sins: Darkest Sins 2nd Blogoversary Celebration!! Darkest Sins 2nd Blogoversary Celebration!! What can I say? I'm very pleased of what I achieved so far and the support bloggers, authors and publishers keep giving me is simply amazing and it really means the world to me. So from me and Darkest Sins: THANK YOU!! Speaking of support, a lovely friend of mine, Cameo Renae, has kindly joined this special celebration with not one, but two of her great books!! 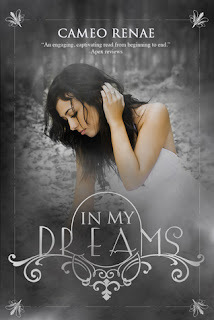 Indeed, I'm happy to announce that an E-copy of "In My Dreams" & "Hidden Wings" are the prizes one lucky winner is going to bring home in the International Giveaway you see at the end of this post! It was happening again. The dreams. The nightmares. It was something that seventeen year-old Elizabeth Hayes thought she d outgrown; dreams that would come true; detailed premonitions of how people would die. This time she dreams about her boyfriend, Michael Young, and soon discovers that he has been found... dead. He has not crossed over because he was murdered, and now the murderer is after Lizzy. His spirit won't rest until she is safe. As a newbie spirit, the easiest way for him to make contact is through Lizzy's dreams. When she dreams, it's as if he hasn't died. Lizzy must learn to pull on her inner strength to survive horrifying events, and is faced with a most difficult decision. Would she risk her life to save her best friend and the very person responsible for Michael's death? Meanwhile, Michael learns everything he can about his supernatural gifts to help. But will it be enough to save her? Seventeen is a life changing age for Emma Wise. As her family's sole survivor in a car crash, she is left with a broken arm and a few scrapes and bruises. But these are only outward marks; inside, her heart is broken and the pieces scattered. Whisked away to Alaska, to an aunt she’s never met, Emma starts over. 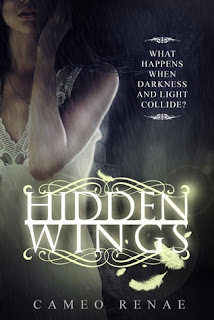 Secrets unveil themselves and now…she doesn't even know who or what she is. A centuries old prophecy places Emma in the heart of danger. Creatures of horrifying and evil proportions are after her, and it will take Emma, her aunt, and six, gorgeously captivating Guardians to keep her safe. But, if she can survive until her eighteenth birthday... things will change. CELEBRATE DARKEST SINS AND WIN IN MY DREAMS & HIDDEN WINGS! !